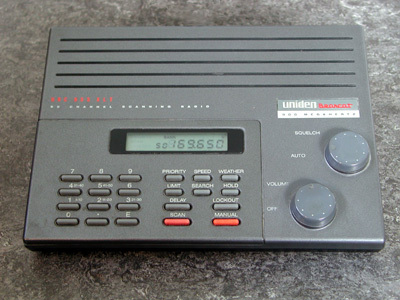 It's quite straightforward to add a discriminator output to a Uniden Bearcat 855XLT. After releasing the 5 screws in the bottom of the scanner, the two parts can be separated. 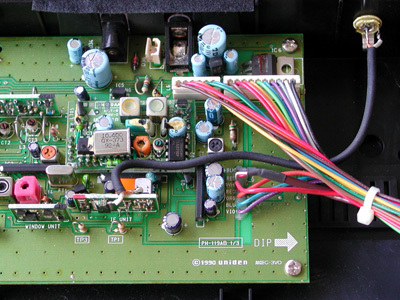 I also disconnected the loudspeaker connector from the PCB, which makes the two scanner halves easier to handle. The discriminator IC, a TK10421, is located on the IF Unit. This PCB is mounted vertically on the main board. TP3 contains a signal that comes from the discriminator. However, this signal is filtered too much to be of use. 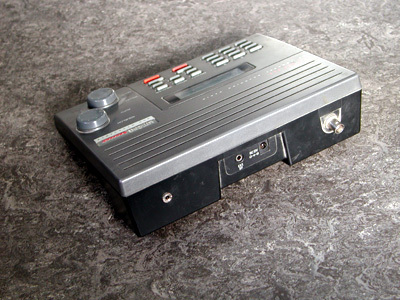 Probably Uniden mounted an RC-filter with a cut-off frequency of about 2 kHz. This causes the slopes of the digital signals to be rounded. A limiting resistor of 5.6 k has been soldered to pin 11 of the 10421. 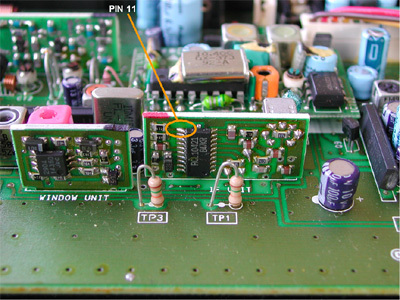 The exact value of the resistor is not critical; I use values between 5.6 and 15 k. The resistor has been mounted on the side of the IC, and fixated with a drop of glue from a glue-gun. 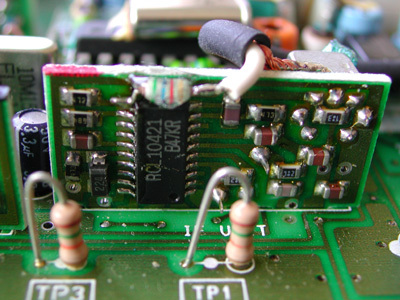 The inner conductor of a piece of shielded cable was soldered to the other lead of the resistor. I connected the braid to the metal shield of the coil on the other side of the PCB. The other side of the shielded cable has been connected to a 3.5 mm chassis terminal at the back of the scanner.